Despite Mr. Tihany’s promise to “maintain the shabby-glamorous feel” of the famed Polo Lounge, which is being “refreshed” as part of a two-and-a-half-year renovation of the Beverly Hills Hotel, Hollywood power players are a little traumatized. Yes, the Polo Lounge, with its mirrored wall and grand piano, has a trapped-in-amber feeling. Sure, some tables are filled with tourists eating $36 salads. But as one of Old Hollywood’s lone surviving power hubs, it still packs in movie titans. As Ms. Snider conducted a meeting over cocktails on one recent evening, Jeffrey Robinov, president of Warner Brothers Pictures Group, huddled in a corner with a writer from The Hollywood Reporter. The super agent Ari Emanuel strode into the dining room, where Denzel Washington would have lunch the next day. 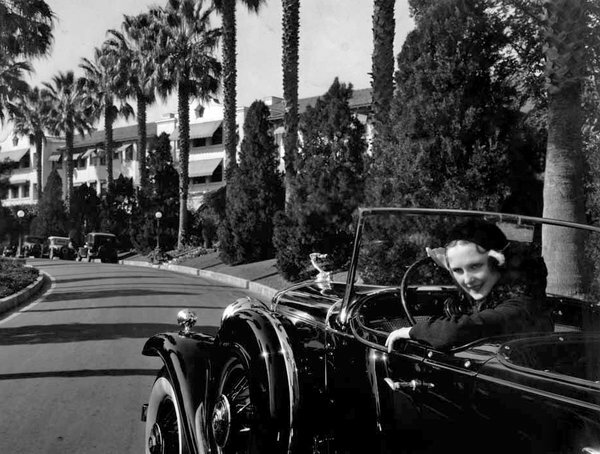 The Beverly Hills Hotel, which just turned 100, remains the heart of moviedom’s schmoozing scene in part because of its history. Elizabeth Taylor honeymooned with six of her eight husbands in the bungalows. The pool alone is as close to sacred ground as it gets in show business. It’s where Raquel Welch was discovered, where Esther Williams swam every morning (a permanent guest pass was written into her MGM contract) and where the Beatles once took an after-hours dip. The Polo Lounge got its name because celebrities like Will Rogers toasted polo victories there in the 1930s (they played in nearby lima bean fields). The dimly lighted room was popular with Marlene Dietrich, who sat on a bar stool with her fur coat. Frank Sinatra and Dean Martin engaged in prodigious drinking sessions there. Charlie Chaplin liked Booth No. 1, while Marilyn Monroe preferred a less prominent corner. To Ms. Snider’s point, the Polo Lounge has also outlasted most of its competitors. The Brown Derby is long gone, as are Chasen’s and Le Dome. Twenty years of Orso power lunches ended in 2009. Spago, the Grill on the Alley and Mr. Chow’s are still chugging along, albeit with an aging clientele, but their influence sharply faded a few years ago, when Creative Artists Agency and International Creative Management decamped to new offices in Century City. The entertainment industry’s devotion to the Beverly Hills Hotel also exposes deeper parts of its psyche. The movie capital is a place that routinely razes and rebuilds, but many of its top executives have roots in New York and hunger for hangouts with a timeworn patina. Because film is so ephemeral, there is a tendency to overcompensate and clutch at anything permanent. How else to explain Nate ’n Al, a dumpy diner that draws an industry crowd for breakfast, or the Chateau Marmont’s garden restaurant, popular with TV people despite its out-to-lunch servers and ho-hum menu. It’s not exactly that Hollywood thinks the Beverly Hills Hotel and the Polo Lounge can’t be touched. After the Sultan of Brunei bought the property in 1987, the “pink palace” closed in 1992 for a two-and-a-half-year transformation. Rather, Hollywood’s fear specifically reflects the bad plastic surgery that befell two of its cherished haunts, Le Dome and the Hotel Bel-Air. Le Dome, a Sunset Boulevard watering hole popular with music heavyweights, in 2004 underwent an ill-advised renovation, complete with “ziggurat motifs, Gothic windows trussed in metal and flames erupting” from a flat-screen TV fireplace, according to a review in The Los Angeles Times. “It’s so edgy, it’s almost pervy,” the newspaper added. Patrons recoiled and Le Dome closed. The newly redesigned Hotel Bel-Air also came as a shock when it was unveiled last October. Trying to woo younger guests, it overcorrected in the eyes of many entertainment-industry regulars, who complain about its newly blah color scheme, modern lobby and indoor-outdoor Wolfgang Puck restaurant. The concern: the London-based Dorchester Collection, which operates the Bel-Air, also manages the Beverly Hills Hotel. What if the tweaks planned for the Polo Lounge (work has yet to start) are equally startling?